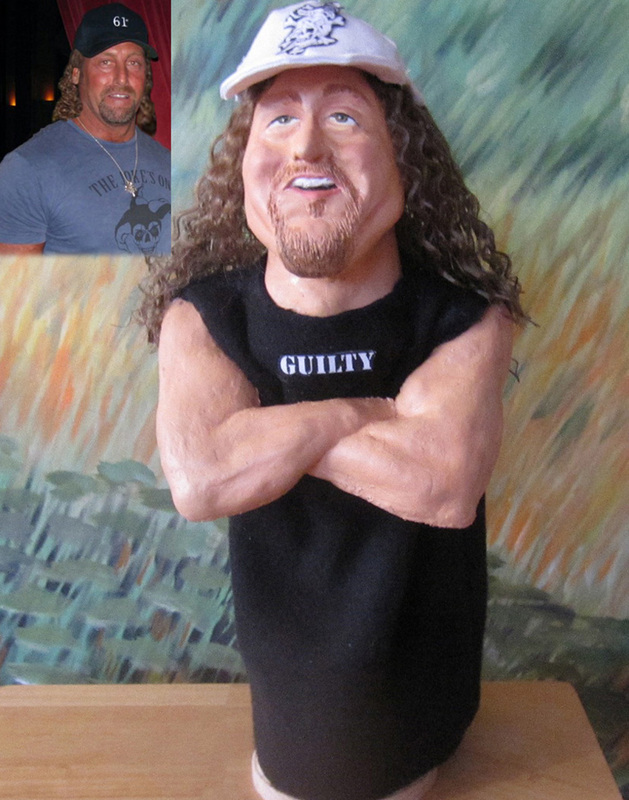 I recently created this puppet of Artie Zaban who is a Chicago Attorney who's hobby is lifting weights. 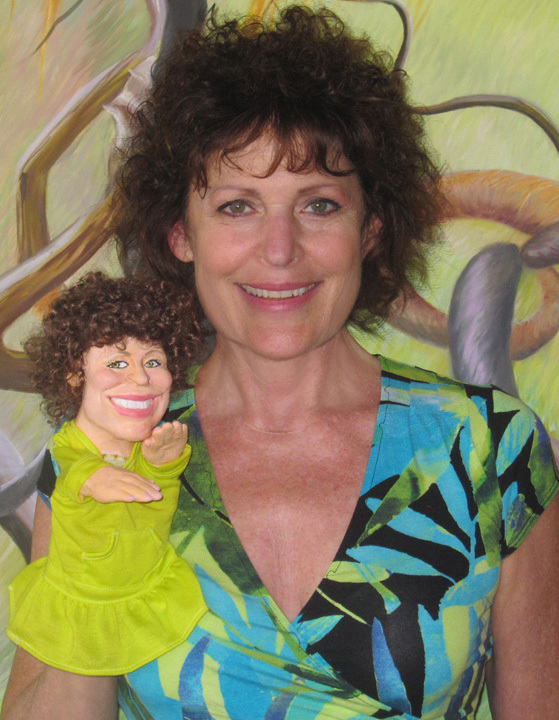 Sarinda displays her custom made caricature hand puppet from a photo by Ellen Lustig. The 14" puppet is wearing a tiara, a purple velvet robe with spotted bunny fur, and a blue workout outfit with silver glittery shoes. She is holding a bar bell in one hand and a cup of wheat grass in the other.